SPEED Airsoft has just released a new line of competition triggers for the TM Hi-Capa and M1911 compatible series of GBB pistols that include some very custom machined features. 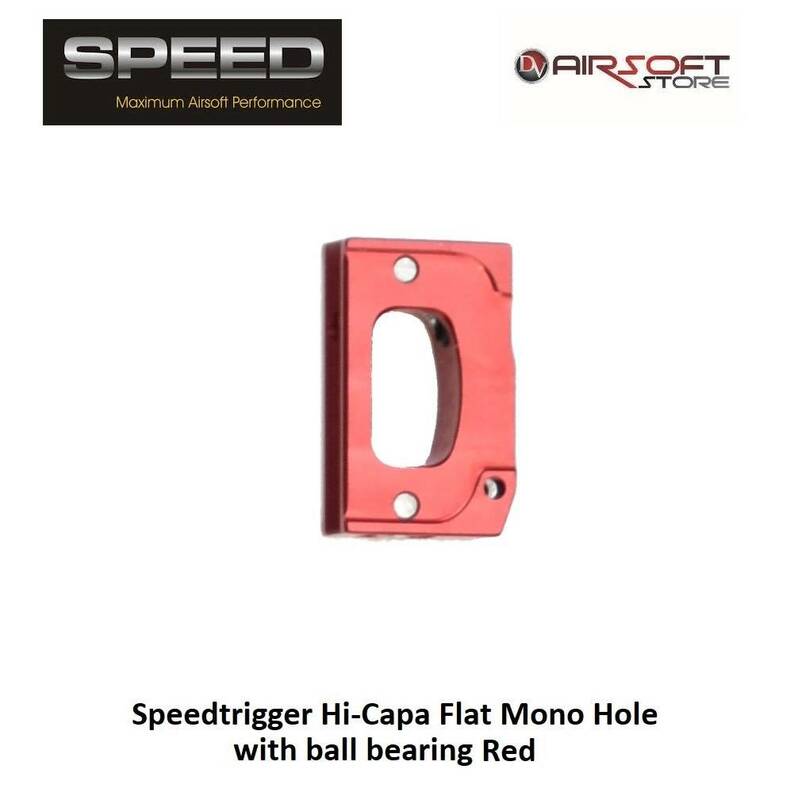 First, the sides of the SPEED Hi-Capa/M1911 Triggers are milled with rails on the surface, which have minimal contact with the inside of the frame, allowing the trigger to slide effortlessly back and forth within the pistol. 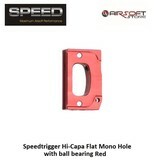 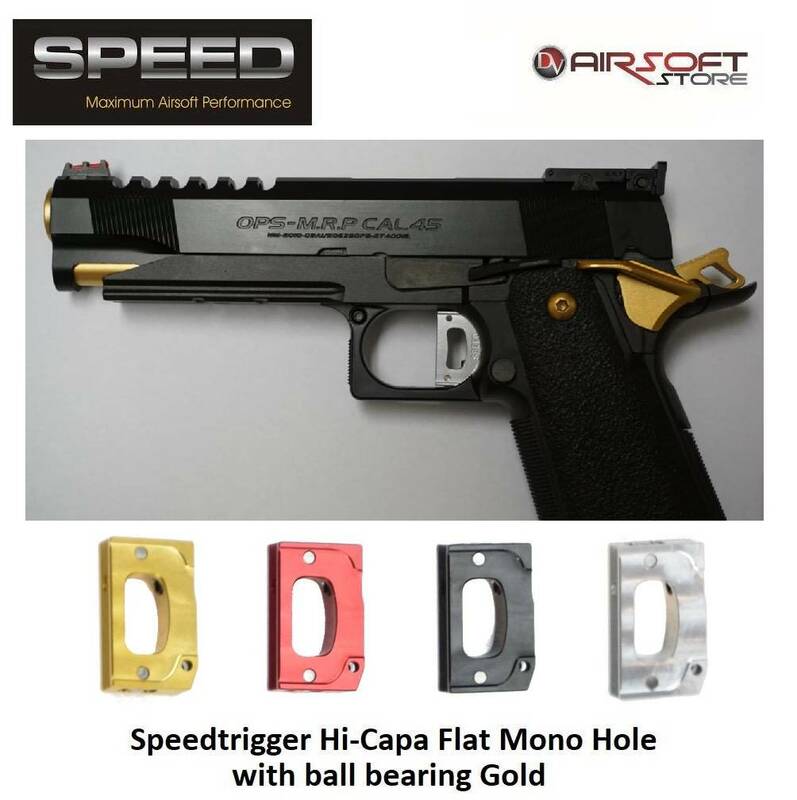 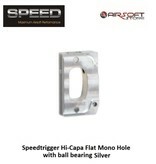 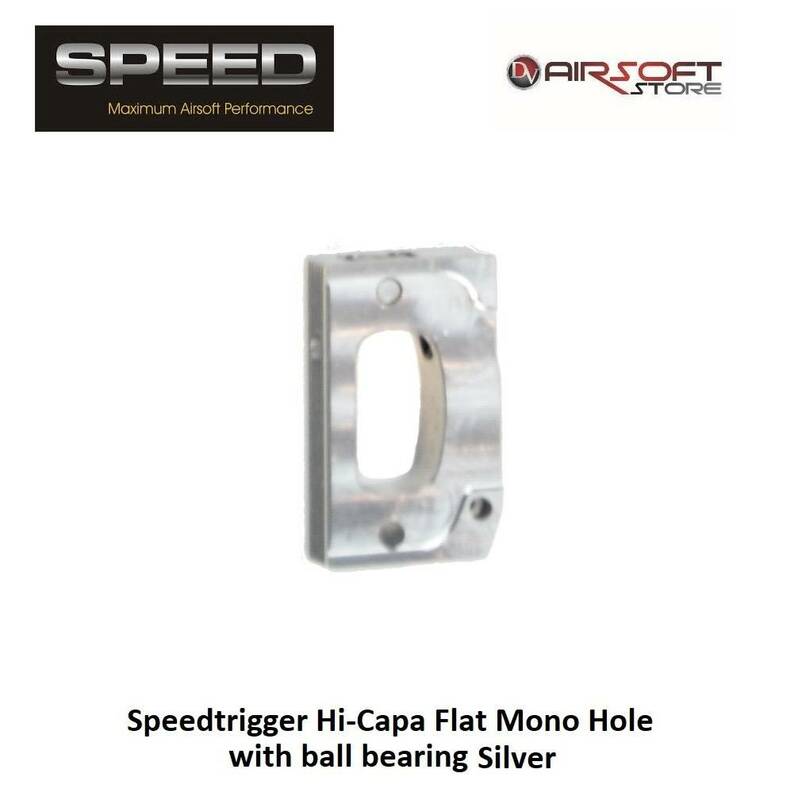 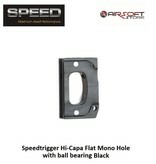 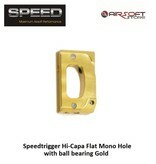 Further, the unique design of the SPEED Hi-Capa/M1911 Trigger with integrated ball bearings floats the trigger, allowing it to be completely friction free during its use. 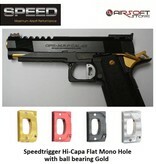 The SPEED Hi-Capa/M1911 Triggers are available in different styles and hole patterns, as well as a variety of desirable colors.